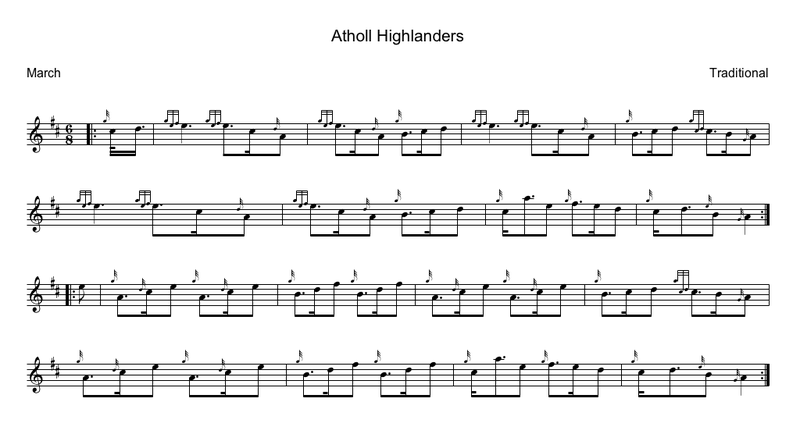 The Atholl Highlanders are a Scottish infantry regiment based in Blair Atholl and is a popular 6/8 march to play on the bagpipes. The second part of the tune is a great crossing noise exercise as well. Here is a pipe band playing the tune.